At long last, you’ve crossed the imaginary (or literal) finish line of your workout, and it’s time for a cool down. This is your chance to catch your breath, decompress and congratulate yourself on a job well done. Indeed, the time you set aside for the cool down can be just as important as the time you spend working out. These cool-down methods, tips and tricks will help you make the most of your downtime and prime your body for optimal recovery. We’ll kick things off with the most effective and easiest cool down exercise — the move you naturally revert to when you’re weighted down by exhaustion — walking. We’re not suggesting a rapid, power walker’s stride; we’re talking a nice, slow, steady speed on the treadmill. 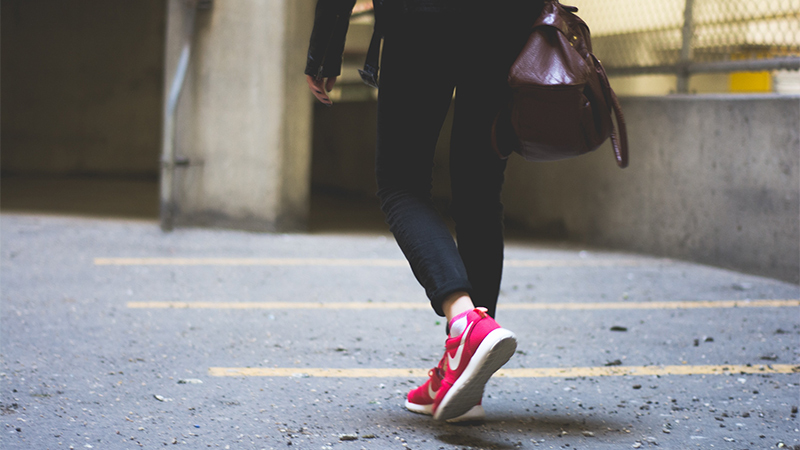 Walking allows for your body to settle back into its normal state as you stay in motion. Whatever you do, don’t stop and sit down, as this encourages muscle stiffness. If you had a challenging workout, you’ve likely worked up quite a sweat. Now is the time for replenishment. Make sure you take water breaks throughout your workout, and drink lots of water after your workout to help prevent muscle soreness and dehydration. How much liquid do you need after a workout? Here’s a simple method to try: Weigh yourself before you workout, then weigh yourself when you’re finished. The weight you lost is strictly water weight, so you’ll need to drink that weight back in liquids, plus 25 to 50 per cent to more to make up for what you’ll loose in urine. This cool-down exercise might sound like actual exercise, but don’t be fooled. After your workout is a great time to engage in some smooth “active recovery,” and to squeeze in a bit of extra core work (without having to overexert yourself). Start with 10 slow, easy crunches followed by v-sits. The best part? You get to lie down, and isn’t that the best kind of cool down there is? We’ve heard this post and pre-workout recommendation what must be hundreds of times at this point, but in case you still haven’t gotten the memo: Stretching significantly reduces your risk of injury and sore muscles, and you should stretch at the end of every workout. Stretching at the end of a workout (rather than before) is most ideal, as your muscles are the warmest they’ll be. Make sure you target the specific muscle groups that you focused on, as well as any problem areas (like hamstrings if you’re a runner, or knee exercises if you have weak knees, for example). Anyone whose done a lying spinal twist knows that this is the best sort of stretch, especially if you have back pain and posture issues. Besides helping lengthen and align your spine, this spinal twist exercise promotes healthy digestion. It also just feels ah-mazing. This is the most basic, yet widely appreciated yoga pose out there. Downward dog brings with it a wealth of benefits in spite of its overarching simplicity, such as decreasing back pain and anxiety, increasing full-body circulation, and decreasing the chance of developing headaches by elongating the cervical spine. While we highly recommend this yoga pose for your cool-down, there’s a breadth of basic yoga poses to try that can help cool you down after a workout. Besides the physical benefits, many popular yoga poses can help strengthen your mental focus as well. Besides holding poses, yoga is also very much about breathing and mindfulness. At the end of workout, take the time to either engage in a few basic yoga poses, or simply sit or lie comfortably and focus on your breathing. Five minutes of deep breathing and relaxation is all you need to de-stress and re-charge. Ironically, one of the best ways to cool down is to warm up… with a delicious steam room session. Most modern gyms have a steam room or a sauna, and after a particularly gruelling workout, sometimes there’s nothing better than sitting, relaxing and sweating it out (no exertion required). Keeping those muscles heated for an extra half hour can help prevent soreness. Plus, it’s great workout motivation — it’s much easier to hit the gym if there’s a steam room or sauna treat in it at the end! Certain studies suggest that getting a massage after a strenuous workout can reduce your risk at sustaining an injury by up to 50 per cent. Besides the obvious physical relaxation brought on by a professional massage, it’s also good for the soul. We can all benefit from taking time out of our busy schedules to slow down, breathe and worry less for a while. A professional massage can be expensive, however, so why not use this an excuse to unwind and get closer to your significant other? If you’re trying to gain muscle and build strength (and let’s face it, almost all of us are), you’ll do well to consume at least 20 grams of protein immediately after a strength training or weight lifting workout. Studies have shown that consuming protein right after a workout can help stimulate muscle growth, so enjoy a shake (or a protein-filled meal) or snack within 20 minutes of your cool down to maximize the muscle-building benefits.